A great Product Owner is critical for any company or team using an agile approach to software development. The Product Owner role should encompass vision, strategy, and execution. Pichler provides specific advice to product owners with common mistakes related to each area of agile product management. Each chapter has a set of reflective questions to compare current state product development processes to those described in the book. To assist new product owners, there is one chapter devoted to transitioning into the role. He gives specific advice on creating a product vision, managing the product backlog, release planning, and participation in Scrum meetings. He provides a lot of detail to complement the concepts and method. The customer, who is the person purchasing the product, and the user, who is the individual using the product, determine the success or failure of the product. 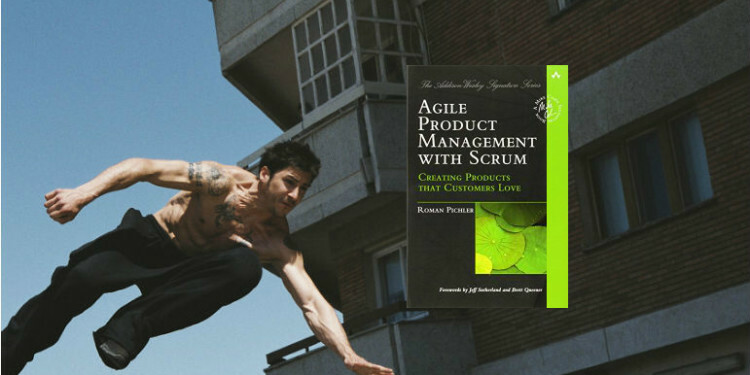 Agile product management is different from traditional product management in several key areas. The product manager role and the Scrum team enable agile product management to take a different approach to challenges which have plagued software development. The product owner is a visionary who can envision the final product and communicate the vision. The product manager is also a doer who sees the vision through to completion. This includes describing requirements, closely collaborating with the team, accepting or rejecting work results, and steering the project by tracking and forecasting its progress. As an entrepreneur, the product owner facilitates creativity; encourages innovation; and is comfortable with change, ambiguity, debate, conflict, playfulness, experimentation and informed risk taking. The product owner takes an inward view (traditionally the domain of a product manager) and an outward view (usually the focus of a product marketing manager) of the product and business. A visionary and the person responsible for relentlessly driving the vision to completion, the product owner is both a team leader and a team player. A successful product owner must be entrepreneurial, a great communicator, an adept negotiator, empowered, and committed to the success of the product, the team, and the business. The Scrum team has many of the qualities of any great team: trust, collaboration, sufficient resources, sponsorship, closeness to the customer, and a common goal. Breaking down organizational barriers (within the company and between the company and its customers) are reinforced by many aspects of the agile method. The team itself is self-organizing, cross-functional, and small. It should include all roles required to bring the product to life. All members of the Scrum team must form a close and trusting relationship, a symbiosis, and work together as peers. There must be no us and them. There can only be us. Although the product owner effectively has end-to-end responsibility for delivering the product, she can reach across the organization to get support and assistance from senior executives and other functional leaders. This broadens the resource set available to the product owner while maintaining responsibility and accountability with one individual. With respect to project management activities, Pichler says they are “no longer exercised by one person.” With the agile approach, these responsibilities are divided between the members of the Scrum team. The product owner role can scale up by with a Chief Product Owner to whom several product owners report. Each product owner can be responsible for a feature or a component of the overall product. This addresses a frequent question about the agile approach: can it scale? Who is the customer and the user of the product? What customer needs are fulfilled by the product? What attributes of the product are most important for meeting the customer needs? How is the product different from other offerings? Can the product be developed by the company given its resources and capabilities? A great vision must be shared by the team and unify everyone involved. A broad and engaging vision will inspire and endure. Pichler advises using Ockham’s Razor to achieve a vision that is “short and sweet”–seek the simplest solution. Common mistakes to avoid when developing a vision are attempts at prophesy, paralysis through excessive analysis, and seeking perfection. Methods to arrive at a product vision include using small projects incubated as part of “innovation time”, including vision exercises in the product backlog, prototypes and mockups, personas and scenarios, a vision box, and Kano model (also read “Leveraging the Kano Model for Optimal Results” at UX Magazine). The backlog contains a prioritized list of all incomplete work items required to achieve the product vision. Items in the product backlog are ordered by priority and level of refinement. The most detailed and granular items are at the top, ready for the team to implement, while more coarse-grained and less well defined items (themes) are at the bottom. Requirements are no longer frozen early on but instead are discovered and detailed throughout the entire project. As our understanding of customer needs and how they can be best met improves, existing requirements are likely to change or become redundant, and new requirements will emerge. Product discovery is therefore not limited to the early development stages, but covers the entire project in Scrum. To guard against creating a backlog which is a dumping ground for every product idea anyone ever had, Pichler recommends focusing intensely on the customer need and ensuring that each and every backlog item clearly benefits the customer. Only the minimum functionality required to fulfill the customer need should be considered by the team–simplicity is your friend. Adding too much detail early on can overwhelm the team and make it difficult to prioritize. Treat existing requirements as suspicious and consider them as a liability, not an asset. A key to prioritizing the backlog is to prioritize themes first. This effectively orders the more detailed backlog items because the higher level groupings are in the right sequence. The backlog is frequently a mix of themes, epics, and stories. It’s the product owner’s responsibility to continually groom the backlog to provide a clear set of priorities for the team. Decomposing complex backlog items into more granular items is another key product owner activity. Using the product vision as a guide, the product owner prioritizes backlog items based on customer value, risk, releasability, and dependencies. Front-loading risk can help the team learn and expose critical assumptions and assist architecture design and technology selection. As the product owner, you guide and influence the team. Your behavior matters. A lot. Frequently reflect on your intentions and actions. In addition to crafting the product vision and being responsible for grooming the backlog, the Product Owner is involved in release planning, sprint planning, daily stand-up meetings, and sprint retrospectives. Principles of effective agile planning include using actual velocity to estimate future delivery (as opposed to idealized plans that extend far into the future) and maintaining a sustainable pace (rather than attempting to increase output by increasing work hours). Pichler notes that the days of the lone wolf product manager are long gone–product owners must be outward-facing, an integral part of the Scrum team, and committed to collaboration. Likewise, there is no manager or project manager in Scrum–the team is self-organized, manages its own work and is accountable for its goals. Stakeholder involvement is critical for the success of the Scrum team and this is facilitated both by the product owner and the sprint review meeting.